They just don't make assassins like they used to. "Everything is permitted." This is not only the philosophy of the eponymous Assassins of Ubisoft's Assassin's Creed series, but also a pretty good summary of the games' design as open-world sandboxes. Former creative director Patrice DÃ©silets agrees, but feels like the later games have strayed from that creed. 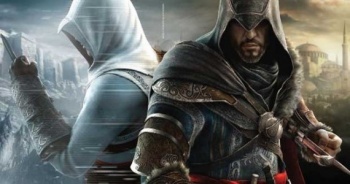 DÃ©silets, who left Ubisoft during the production of Assassin's Creed: Brotherhood, enjoyed the freedom of the earlier games in the franchise - an aspect he feels was lost as the series progressed. "I like the first Assassin's Creed because it's the purest one," DÃ©silets said. "There's a bunch of stories that you can have, but it's all in your head. You have to create your own adventures. Whereas in Assassin's Creed II, we created the adventures for you and you're following them. "For me, the first one is an amazing toy. The second one is the real game with rules and missions and it's really precise. But personally I like the poetry of the first one. It's pure." The original Assassin's Creed certainly had plenty of room for self-directed adventure. The game spanned three sizable cities, along with the rural countryside in between, in contrast to the narrower focus of later games which generally confined the player to one city. DÃ©silets believes that there was ample opportunity for emergent gameplay - had players taken the time to notice. "Out in the kingdom, with your horse, there are so many places with little setups with Crusaders where you can tell a story," he said. "With Assassin's Creed, our problem was we never actually asked anyone to do it. Most of the players just pass by those setups. But in Assassin's Creed II, we had a mission for all of them." It's a tough tradeoff: the more freedom you allow the player, the more likely they are to miss out on some great moments. Assassin's Creed took a lot of heat for its repetitive mission structure, though it seems like the game wasn't intended to be a straight run from one objective to the next. Many gamers might prefer a more open-ended style, a la Thief, but the Assassin's Creed series has evolved to follow a more linear, though far more cinematic, design. The upcoming third installment (or fifth, depending on how you count them) has been described as "90% a new game" by current creative lead Alex Hutchinson, so we'll see where it falls on the scale of freedom vs. direction.